Montana wildlife officials wants to hear your input on elk management objectives, for herds near Yellowstone National Park, focused on reducing the risk of transmitting brucellosis between elk and livestock. The comment deadline will last one more week until 5:00 p.m. on December 20, 2012. Landowners, stock growers and hunters will meet on December 18, from 9:00 a.m. to 4:00 p.m. at Montana Fish, Wildlife & Parks’ Bozeman office, 1400 S. 19th Street, to review comments received so far and take additional public comment from noon to 12:30 p.m.
Brucellosis is a contagious bacterial infection that results in miscarriages. 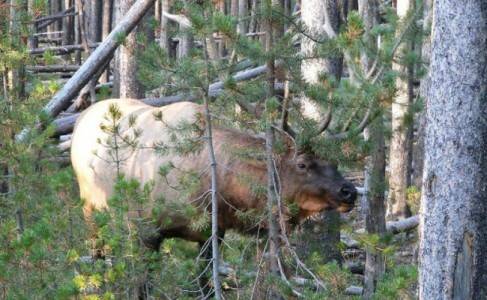 In Montana, it has been found in elk, bison and cattle. To comment and find more details, visit FWP’s website. Or for information, call: 496-444-2612. Send written comments to: FWP–Wildlife Bureau, Attn: Public Comment; P.O. Box 200701; Helena, MT 59620-0701.